"Brad is like having an outstanding full time Wine Director on staff at a fraction of the cost." "I have the pleasure of being associated with this gentleman for a long, long time. In a time when the wine guru/consultant/advisor changes from day to day, Brad has stood the test of time. He is honest and dedicated to his craft, and a good sounding board, thanks to his industry experience. Brad is well grounded and accepts people and products for what they are. He has done more for Spanish wine than any of the other so-called "luminaries". He is one of my "Go To" people in the wine trade." "I was very impressed with the wine lists for Lola and London Lennies. Your approach to listing the country in the left hand column with the headings of the grape varieties is an excellent way to make a wine list more accessible to the consumer and easier for the staff to understand. I also agree with your pricing strategy and all of your selections...I think the presentation of the menus and wine lists are spectacular." "I have had the pleasure and priviledge to know and work with Brad for close to twenty years. 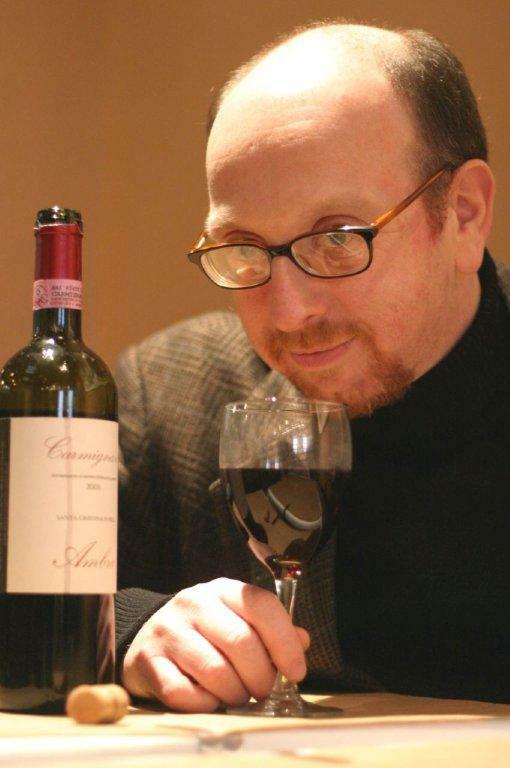 Currently, Brad works with us through his comprehensive wine consulting company. Brad is honest, creative and very knowledgeable; capable of making any company more money, more impressively than your wine program is currently generating. Owners will see more profit, servers more tips, and most importantly, customers will enjoy the upgraded wine experience and look forward to coming back." "Brad is one of the true purists in the wine industry. It is gratifying to know there are people like him working on everyone's behalf. His integrity and commitment to quality with respect to the wines he deals with, is unsurpassed. His palate is very well regarded. Personally, I have been working with Brad for over twenty years and has never let me down. The wine industry is fortunate to have someone as devoted as him." "Brad Haskel is a true professional. 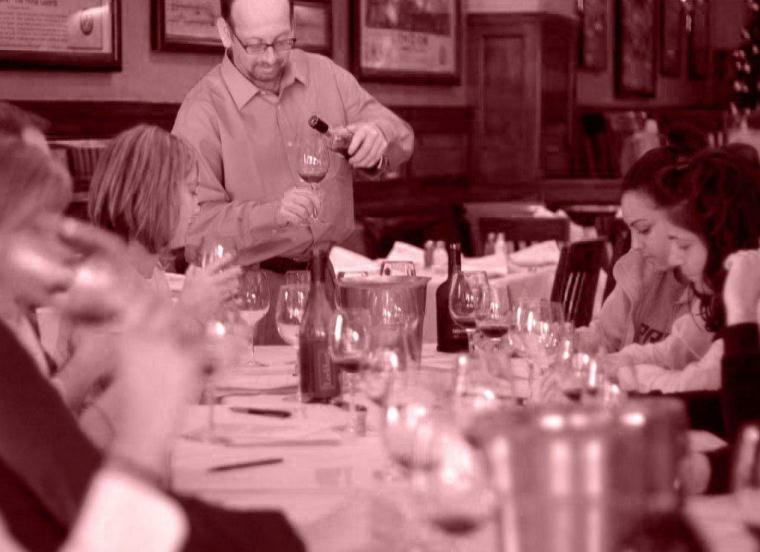 He is an outstanding instructor whose vast knowledge and experience of wines truly enhances the learning outcomes and understanding for our students within our program. His insight, articulate and clear communication style, - along with an exceptional down-to-earth teaching demeanor, makes Mr. Haskel an asset to any college program or educational facility wishing to strengthen their academic curriculum." "Brad is an industry professional you can trust. His work reflects his experience, engagement in your brand, and a genuine desire to make his labor successful, purposeful and productive." "When I started my wine education with Brad, I couldn't have told you the difference between a Chablis and a Chardonnay; or rather I couldn't have told you that a Chablis is a Chardonnay. Under Brad's training and guidance, I am now able to give descriptions of the all major grape varietals, and I can describe how the characteristics change depending on the terroir. His excitement about wine is contagious. His style of training made it not only educational, but fun. The education Brad has given me has been instrumental in helping me land my new job at Nobu in Tribeca. It gave me an edge over other applicants. I am forever in his gratitude." "Brad is ideally suited to structure wine programs for restaurants, being able to adapt their programs to their clientele and their food. 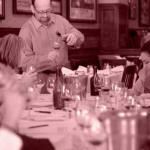 His knowledge is equally at home in structuring wine programs for retail stores. In both cases he is ideally suited to train staff and set up the necessary controls to maximize profits. My experience with him showed his high motivation, eye for detail, and his ability to translate his knowledge into successful business models. In addition, he is a joy to work with." "Talk about being impressed! There's a very special knowledge and hospitality showing up on the wine list at London Lennie's which has my total respect. Hat's off to wine director Brad Haskel." "Brad's knowledgeable approach is friendly, comprehensive and refreshing for anyone looking to enhance an existing program, or to have one created from scratch. He is a pleasure to work with." 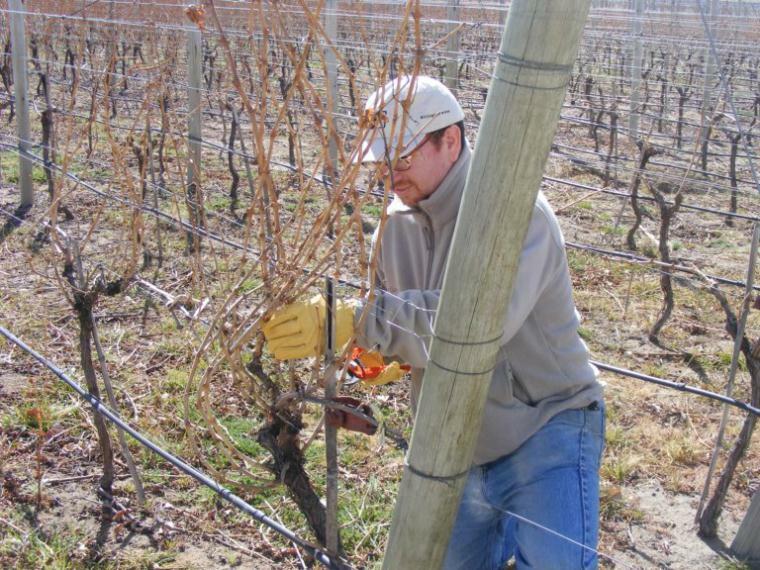 "Brad was instrumental in developing and implementing our new wine program at London Lennie's. We were pleasantly surprised with the increase in bottle sales, and our customer reaction was overwhelmingly in favor of the greatly expanded and well thought out wine list. The changing nature of wines is a challenge, but Brad is always available to research new wines and make the necessary changes when vintages change and winemakers move on. Who would have ever thought my wait staff would know the five grapes in a red Bordeaux?" "Brad represents a unique breed of talent in the wine and spirits industry. His experience within every essential facet of the business gives him an ability that is rarely found to assess, plan, and execute a successful strategy for any beverage program looking for improvement, increased profitability and progress. Brad's easy style and accessible manner of education for staff and management alike make him a pleasure to work with and an asset to his clientele. Brad has the ability to turn suggestion into dollars for the willing entrepreneur. "Simply put, Brad Haskel is a wine scholar. He integrates his years working in restaurants with his fine wine marketing experience, combines that with his love and understanding of fine food and wine; and the result is an extraordinary talent for pairing the two. When I have a question I can't easily answer about tastes or food or wine, I turn to my reference source...Brad." "Does this guy rock, or what? Insider tips and affordable recommendations in time for the holidays! Here's hoping I didn't wear out my wine newbie welcome, as I'm dying to pick his brainabout some pairing ideas for future foodie posts. Let's keep our fingers crossed, Wise Bread readers. And Brad? Thanks a million." "I highly recommend Brad because of his open minded approach to wine and his broad knowledge of the wine and spirits industry." "I can wholeheartedly advise anyone considering retaining Brad Haskel to do so for several reasons. The first and most important reason is he will make you money. Brad's knowledge is encyclopedic, as is his knowledge of food and our industry in general. In the time that has passed since we began doing business, my wine list generates more money, my staff has become exponentially more knowledgeable about the items which make up the greatest part of our profits and my life has been simplified. I can't imagine why any restaurant operator would not give him the opportunity produce similar results." "Brad brings a passion to his work that is rarely seen these days. I have enjoyed our time together immensely. He has invested a great deal of time and effort studying wine and winemaking; and is now sharing that passion and knowledge with other restaurant professionals." "Brad put together great lists for us. He knows how to create a wine list that not only makes sense, it makes sales. 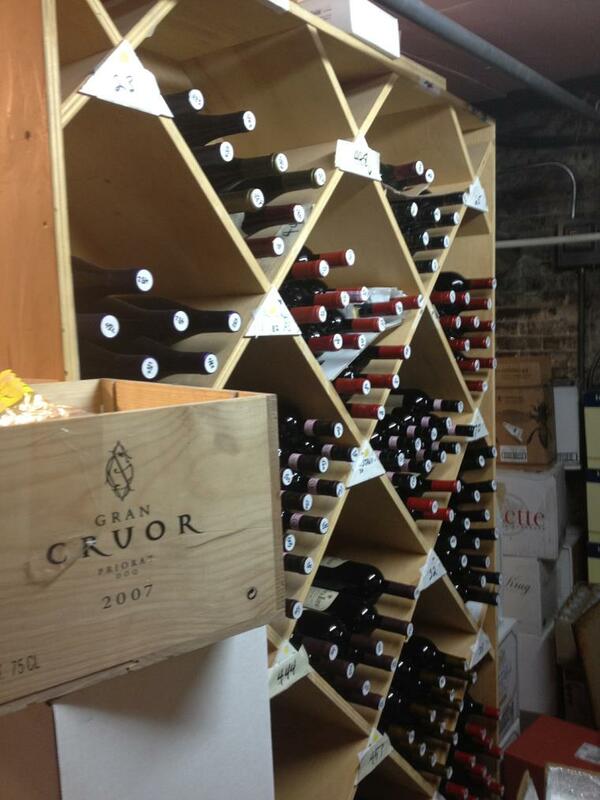 Brad's thoughtful selections and strategic pricing have helped create lists that really move wine. He thinks locally and globally, seeking out wines from outstanding small producers from all regions of the growing world and the result is a list that customers respond to." "Brad's passion and love of the restaurant business has always been inspiring to me. His keen sense for developing a balanced and interesting wine list is right on target. He has the ability to structure 'user friendly' wine lists that appeal to the seasoned wine geek as well as the novice wine enthusiast." "I have worked with Brad for sixteen years, and have great respect for his wine knowledge. He knows how to structure interesting original wine lists that fit restaurant themes, and satisfy customers at every level. "Brad, just wanted to let you know that I received great feedback on the article you wrote for Dish du Jour Magazine. What was most impressive was that some of the feedback was from people in the wine industry who thought it was very informative and a topic the public did not know much about. Thank you for sharing your knowledge with our readers. "Brad has been responsible for creating and maintaining a wine list that fit our restaurant perfectly. He used his expertise to make an outstanding list, save us money, make us money, and make us look good doing it. He has been a great asset to us." "The real draw is an eclectic, clever wine list with rarely seen varietals like Lambrusco and Albarino.............."
"I was amazed at the winelist as I was at the menu, for there are an exceptional number of very good global selections, with a number of them under $50." "I happened to be there (London Lennies) to meet wine importer and writer Gerry Dawes, who promised me London Lennies would be worth the drive to Queens. He was certainly right about the wine list, overseen by Brad Haskel, with more than 200 labels, dozens of them under $40 and some fine whites under $25." "London Lennie's wine list was well-chosen and could hold its own with the top ten percent of wine lists in Manhattan." "I know I have no worries when Brad handles the wine purchasing, and the wine list for us. I completely trust his knowledge and judgement."